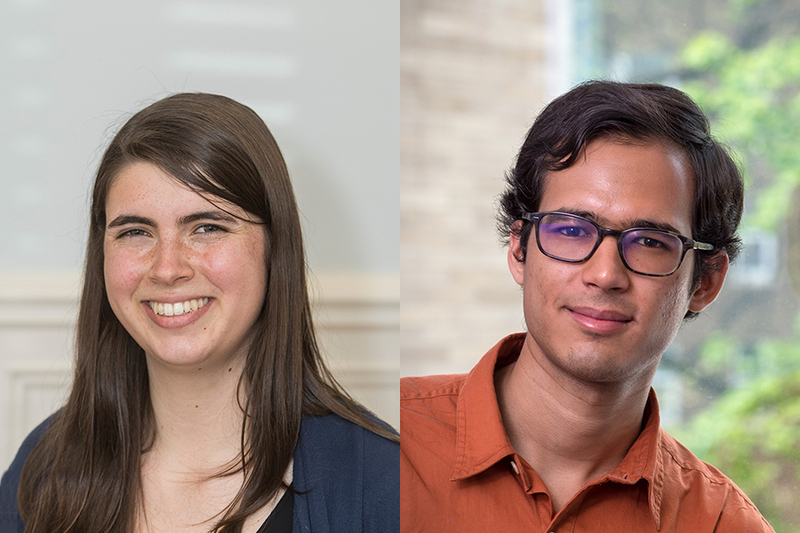 Dietrich College students Isabel Bleimeister and Amal Nanavati are two of the five Carnegie Mellon University recipients of this year's Fulbright Awards. Bleimeister, who is a senior graduating with a degree in cognitive neuroscience and a minor in biomedical engineering, has been awarded a Fulbright Study/Research Grant to pursue autism spectrum disorder research. Nanavati, graduating with degrees in computer science and global studies, will be traveling to Kyoto, Japan, for his Fulbright Study/Research Grant. He will be conducting research in human-robot interaction.